Sandra Blow studied at St. Martin’s School of Art from 1941-1946, and the Royal Academy from 1946-1947. After travelling in Italy and Spain and France, she returned to England in 1957 and spent a year in Cornwall with Roger Hilton, Patricia Heron and other artists associated with St. Ives. In 1958 she was awarded the International Guggenheim award and was also represented at the Vienna Biennale. She became a Royal Academician in 1978. 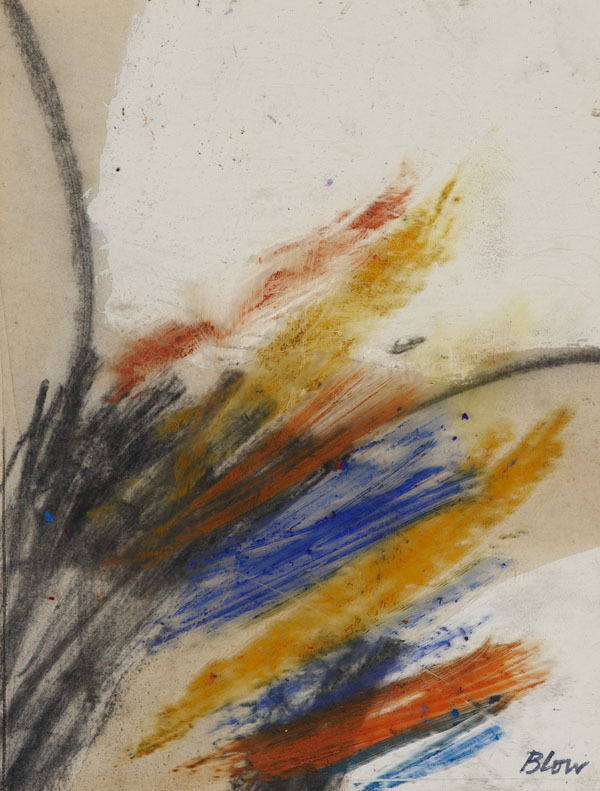 Blow considered herself an ‘academic abstract painter’, primarily concerned with balance and proportion. Issues, she described as ‘important since art began’. Her often large, non-figurative work, has been described as ‘gestural and impulsive in form’, and often includes collage and non-traditional materials. Here she uses bold upward sweeps of colour to create drama and dynamism.